Photography, travel, fitness, and nutrition enthusiast. A blog documenting all the things that motivate and inspire me to become the best version of myself. I was watching Ingrid a.k.a. MissGlamorazzi on Youtube last night, and she made a beverage with beet juice in it. The vibrant purple colour was so beautiful that I knew I needed to go buy some beets after work and make my own beet beverage! Before today, I really dismissed the thought of drinking beet juice. The first and only time I ever had a beet beverage before was at Jugo Juice two months ago where I got the Cant’ Beet This juice. The strong beet flavour really took me by surprise, so I was kinda turned off the whole idea of drinks with beets in it. But seeing how refreshing Ingrid’s video made beet juice look, I decided to give it another chance, and oh my goodness, I’m so glad I did! 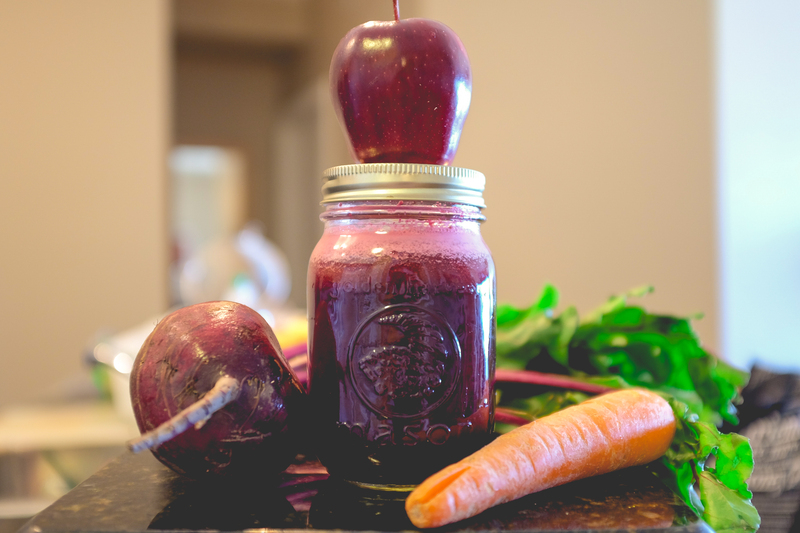 I didn’t want to drink pure beet juice, so I did a little googling and found a recipe on the Minimalist Baker (link here) for an apple, carrot, beet, and ginger juice. This recipe doesn’t require a juicer which is great because I don’t have one! I decided to skip out on the ginger because I was a little scared that it’d be too spicy (I know, I’m a wuss), but I think I’ll try to add a small nub in next time. 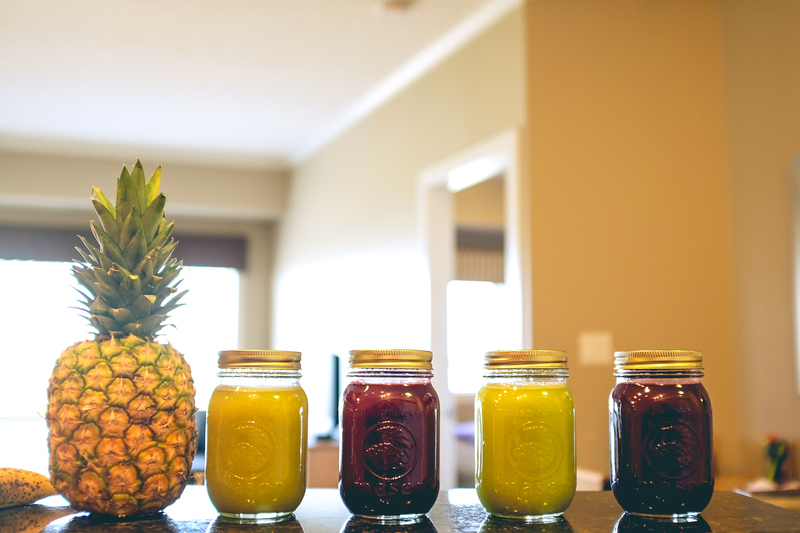 Sieving the juice through a strainer was a little tedious, but the end result was so worth it! I diluted the juice was a little bit of water to make a cup of ~16oz. and it was divine. The nutty beet flavour was perfectly balanced by the sweetness of the carrot and apple. I was so impressed by how refreshing the beet juice was that I decided to experiment a little with the fruits and veg I had on hand! The yellowy-green juice you see above is the result of me combining celery, cucumber, orange, and pear together. I thought long and hard about what flavours would go well with the limited produce I had available, and I think these 4 flavours blended beautifully to create an amazing juice! The cucumber provides a cool and fresh taste that balances the sweetness and tang of the orange. The pear is a light base that adds a slight tart and sweet flavour to the drink. Flavour from the celery is very, VERY apparent, so if the taste of celery overwhelms you, maybe add 1 stalk instead of 3 like I did! Because I am married to the internet and love to research everything about food and healthy living, I came across Pressed Juicery while browsing- They are a company that specialize in selling pressed juices (lol, duh Amy) for juice cleanses. Now I’m all for healthy living and routine detoxes, but not when it costs $200! 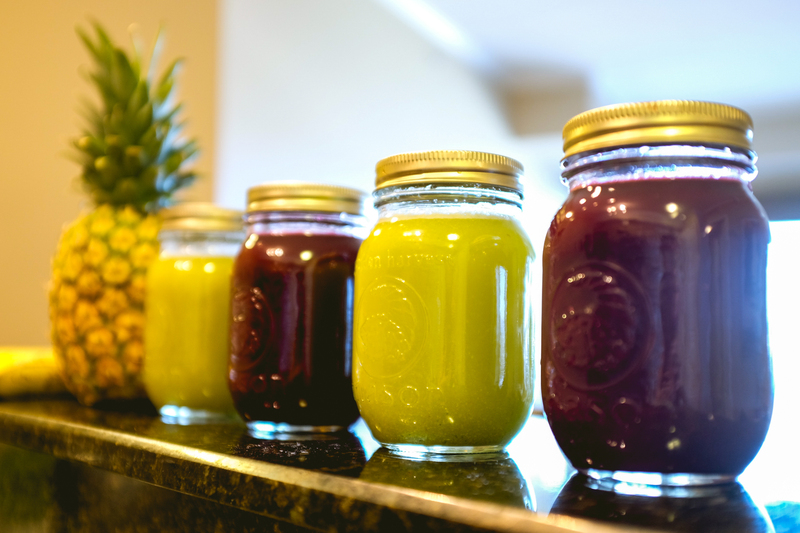 I don’t understand how juice for a 3-day cleanse can cost as much as food for an entire month! (Okay, maybe not a month, but at least 3 weeks!) I will happily continue to make my own pressed juices, because I for one am way too poor to afford that cleanse. But I’m not even complaining because making juice is fun! Yes, it is a little time consuming when you have to use a blender instead of a juicer, but you get to decide exactly what fruits & veg you want and how much of each. You can decide to make it a little sweeter with a few more pieces of fruit, or if you want more green goodness, you can load up on the kale! It’s actually really fun and being able to drink the end product is so rewarding! Is it weird that I find so much enjoyment from making juice? Probably. But oh well, I like it! Anyway, if you’re interested in adding beets to your diet, the beet juice by the Minimalist Baker is a MUST try! Beets are great detoxifiers with a ridiculous amount of folate (the stuff that promotes the production of red blood cells and reduces the risk of heart disease) and the ability to help lower blood pressure, so why not add it to your diet?! Oh! Also, remember to add the leafy green stems at the end of the beet root to your juice! The stems are also packed full with vitamins, minerals, and antioxidants, so make sure not to toss away all that goodness!